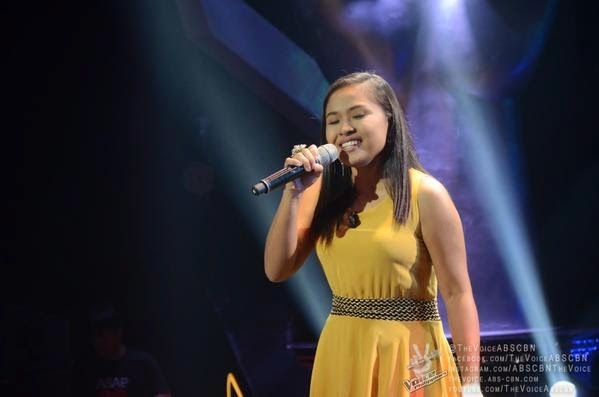 MANILA, Philippines - Online sensation Alisah Bonaobra performed Jessie J hit "Domino" during the continuation of Blind Auditions of the country's top-rating and Twitter-trending vocal competition 'The Voice of the Philippines Season 2 aired on Sunday, November 16, 2014. Bonaobra who became an instant celebrity when a Youtube video of her singing “Let It Go” went viral online has impressed Coach Lea Salonga, Sarah Geronimo and Apl.de.ap. Bonaobra picked Team Apl.